The Athletics Ireland Juvenile All Star awards took place in the Tullamore Court Hotel on Saturday the 16th February. The evening was a resounding success and very well organised by the juvenile committee. Guest on the night included Minister Michael Ring and Olympic fourth place athlete Rob Heffernan (Togher AC). 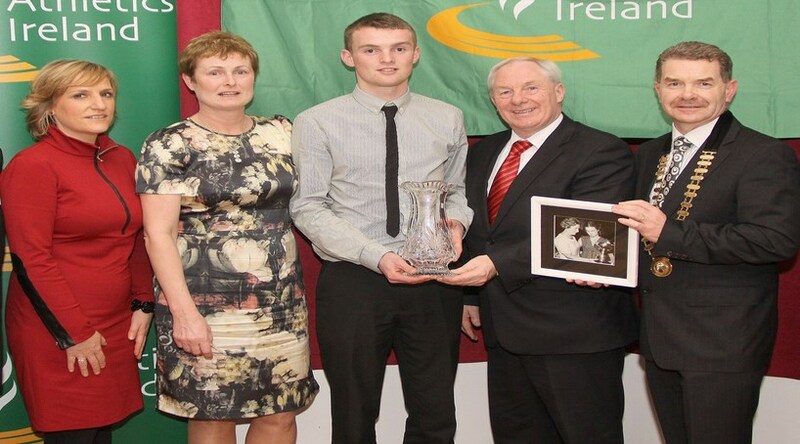 The overall Juvenile Star Award for 2012 was awarded to Marcus Lawler (St Laurence O’Toole AC). Marcus had an outstanding 2012 season which began with victory over 200m at the Woodie’s DIY Senior Indoor Championships. He also set two national youth records in the 100m (10.72) and the 200m (21.42). Lawler also represented Ireland at the World Junior championships over 200m, it is important to note that Lawler will still be eligible for these championships in 2014.